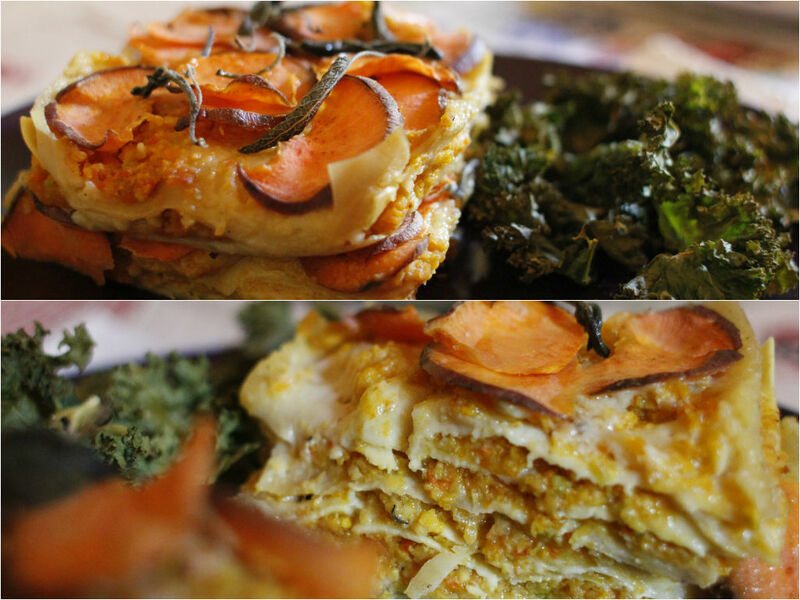 I made a vegetarian version of the traditional meaty lasagna last night for “Meatless” Monday. Meatless Monday is an international campaign, no meat on Mondays to improve your health and the health of the planet. It started quite a while ago in America in 2003 and runs in over 20 countries, mostly high meat consuming countries. I am very positive about this movement, not that I want Australians to turn to vegetarians or vegan. But it’s a fun program that you can think about your health and environment at the start of the week and come up with some interesting vegetarian dishes. I don’t need to follow this rule since my diet is already 90% vegetarian though I try to cook a vegetarian dinner at least x 1-2 a week for my hubby. A traditional lasagna is a nice comfort food, but can be quite heavy loaded with ground beef and cheese. You can make a healthier version and have a generous serving of veggies by simply replacing ingredients. You can make it gluten-free by using gluten-free lasagna sheets or just layers of sliced vegetables such as eggplant and zucchini. Bechamel sauce is traditionally made of butter, flour and milk that gives a nice creaminess and builds a lasagna shape. To make a healthier version (gluten-free and dairy-free! yay! ), you can use creamed tofu, celeriac purée, cashew cream or white bean purée. These substitutes don’t compromise flavour at all but in fact adds more protein and fibre. I find a beauty of making lasagna is when it shows beautiful layers when you cut into it. 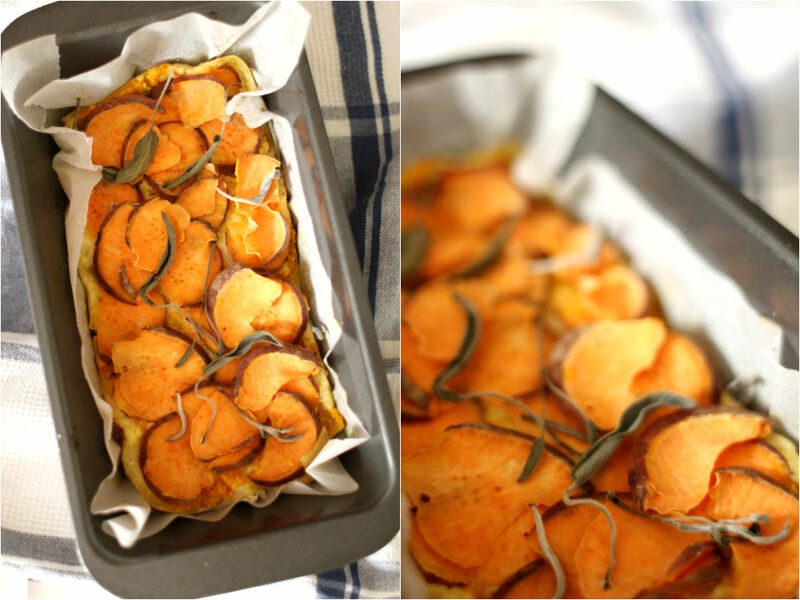 I used pumpkin mash, slices of sweet potatoes, Parmesan cheese and sage leaves – simple ingredients but nice flavour. I served with bitter crunchy kale chips which compliment this dish very well. This would be a fabulous dish for a potluck dinner or a holiday party as well.